Mango time! Tickle your taste buds with this simple, yet flavorful and nutritious mango yogurt smoothie. One ripe mango renders about one cup of mango. The recipe below calls for 1/2 cup mango. Feel free to use the full cup. I didn’t because the sugar content would have been higher than I like. There are a bunch of add-ons listed to take this smoothie in several different directions depending on your preferences and what you have on hand. However, I didn’t include a single add-on and it was quite tasty. Opt for a plain, whole milk or full fat-yogurt. I used a plain, homemade yogurt. Greek yogurt is also a good option. Enjoy! 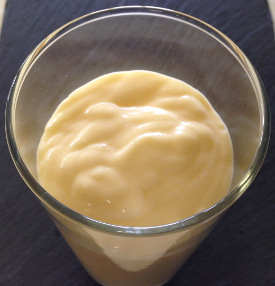 I’d love to know if you try this mango yogurt smoothie and how you liked it. Please leave a comment below. Happy Blending!